In August 2010 it was a long day riding my Yamaha FZ1 through big sky country in Montana from a tiny, campground just south of Glacier National Park to Yellowstone National Park. The air was quite brisk in the early evening at my camping spot as I setup my portable “pup” tent at over 8,000 feet and then had to jump back on my sportbike for a short ride down to the public showers. My bike outside of Death Valley NP. FYI: Don’t ever ride thru Death Valley in August! With all of my camping and heavy riding gear left behind, it’s amazing how much lighter (and exposed) you instantly feel with the cool, high-elevation air cutting through thin layers of clothing. As I’m dismounting my motorcycle at the public shower, a minivan pulls up next to me. The mom quickly gets out, followed by 3 cute, blonde-haired “mini-mes” of their mother in a frenzy of giggles and activity. The father walks around the back and then just stands there. Literally, and a bit awkwardly, staring at me gathering up my toiletries. “Nice bike,” is how it always starts. “I used to ride dirtbikes but had to get rid of them,” as he glanced back towards his minivan, his wife straining to let him enjoy his memories while not interrupting to ask him for some much-needed help. The last time I’d heard that was just a few short hours earlier as I stopped to take some pictures in Northern Yellowstone at a scenic overlook. Never could I imagine the day that I didn’t regularly yearn for the thrill of a motorcycle. 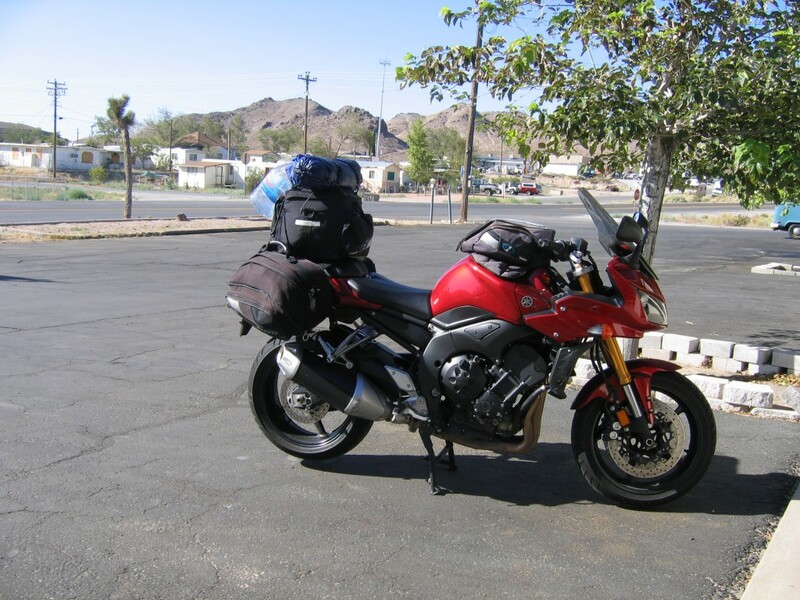 Whether at the track or on a trip to the grocery store, for almost a decade I only rode motorcycles and drove sports cars while changing my address over 22 different times and moving between 8 different states. Then, my son was born and it all changed. My main modes of transportation shifted from a Buell 1125R and a Camaro 2SS 1LE to a rusty 15 year old Chevy pickup for a child seat to fit in the back. The pickup was because, I reasoned, at least I’d have a vehicle to transport my bike to the track for the occasional track day. Two years later and still no track days. But it wasn’t because there weren’t any opportunities to ride. My wife gave me plenty of leeway to go ride if I wanted to. I simply don’t want to give up my time with my family. We all have purposes in life. Unfortunately, most people talk about “a purpose.” Something singular. This is doing you a huge disservice. No one has “a purpose”. We all have many purposes. Each stage of your life has a different set of purposes. As a student, my “purpose” in life was to learn. Learn to become the best engineer possible, learn to interact with people from all walks of life, learn leadership, learn to struggle, learn to overcome tough exams with minimal sleep, and learn to come together with a group of friends to achieve seemingly insurmountable tasks with no money and diets of Taco Bell. As a young graduate, now in the real world, my purpose was to find my professional calling and passion. Learn how I could impact the most lives and generate the greatest value in the world. For me, my purpose was to find, buy, run or start a business and I clearly understood that I wanted to achieve enough financial success to support a future family. My other purpose was to enjoy life to its fullest by exploring the world which often involved motorcycle and car trips to over 2-dozen national parks along with any other adrenaline-inducing adventure I could find. At one point, I flew to Australia to look at buying a business on 3-days notice. In my mid-20’s and early 30’s those were my purposes and I lived them fully. Now, in my mid-30’s it’s to spend time with my young, growing family. The secret to not having any regrets? Live out your full purposes at the right time in your life. What happens when you mix-up the timing of your purposes? You have a mid-life crisis. When you feel like you’ve missed out on some of that adventure because you got married too young or started having a family before you were ready, you turn 50 and buy a Corvette. Far be it for me to ever disparage someone from wanting a Corvette. I bought a Z06 in my early 30’s and hated it. It was simply unusable as it couldn’t make it over a speedbump without painful grinding. Been there, done that. Now when I’m playing toy cars with my son, I’m not thinking, man, will I ever have that Corvette? Of course not everyone buys a Corvette. Maybe you buy a $2,000 purse, get plastic surgery, buy a Harley, or insist on a fancy vacation your family can’t afford. Maybe you have an affair (or fantasize about it), get divorced and then run around, or just become depressed as you realize your youthful energy, beauty, and naivete aren’t coming back. Certainly, treating yourself to an expensive gift isn’t wrong. But if you’re doing it to “make-up for” something you missed before, you’ll quickly realize the new purchase depresses you when you finally admit that you can’t stand the Corvette scraping the ground when pulling into your driveway. A sure fire way to never be happy and content with life is to continually try to catch-up with “missed opportunities”. Recently I asked a friend with a growing brood of grandchildren if he had any regrets raising his own kids as I was hoping to not make the same mistakes myself. His answer was that he wished he’d spent more time with his children when they were all very young instead of relying so much on his wife to handle everything. If you currently have a young family, they are your purpose. Loving, serving, teaching and being with them. That certainly doesn’t mean you can’t do other things, but the last thing you want to do is give up that time with them to fulfill missed dreams and desires from your youth. Trying to chase those old dreams will simply result in you missing your purpose in the current stage of your life. As your children age and go off to college, you’ll once again regret missing your purpose and then have a hard time letting go. If you want to live a life without regrets, determine clearly your purposes for this stage of your life, prioritize them and live them fully.